Wasi Esperanza is an institution that cares for children and adolescents with some type of motor disability and who live in poverty or extreme poverty in the city of Ayacucho. Now a day and so far this year, Wasi Esperanza treats 113 patients with different special needs that deserve to be attended. The need to launch the pilot project of inclusive education falls on the mission of Wasi Esperanza since as an institution we provide our patients with an integral rehabilitation. Meaning that they receive therapies according to their needs such as physical rehabilitation therapy, occupational therapy, psychological assistance service, social assistance service, health care service and -as a complement- inclusive education service -because we believe that education is a right that corresponds to every child regardless of their social, cultural, physical, mental and economic status. Initial status: He had not been included in the school system because of his young age and because he still did not have the basic skills to be inserted. Due to his physical limitation in the arms and hands all his games were based on kicking toys, he did not understand indications and presented constant tantrums when he did not get what he wanted. Current status: He enters his therapy sessions with great enthusiasm, he stays seated all the time at table, he manages to pronounce vowels and sounds of animals, and he can understand an affirmation and a denial. It is in the process of accompaniment to be enrolled in early childhood education. Initial status: Luz entered with a fairly limited coefficient, did not emit sounds by repetition nor did she do it alone to communicate, she was very fearful with her therapists and could not walk just crawl. 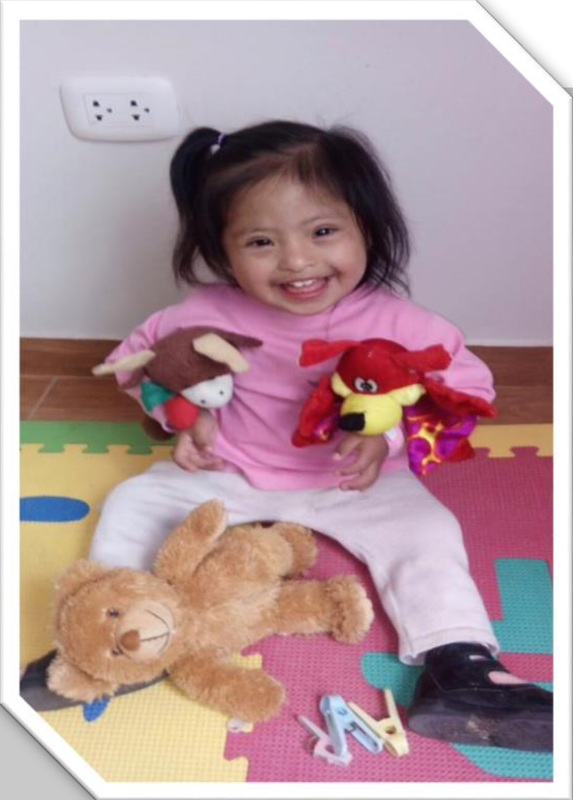 Current status: Today Luz is a girl who can walk, is self-confident and interacts with other people naturally. She has been prepared and due to her advances was the first girl included in a nursery with typical children. Visits are made constant to observe her development and to continue giving guidelines to the teacher and obtain better results. She is still working on toilet training, language stimulation and comprehension. It is already in the process of enrollment to be admitted at the initial level. Diagnosis: Down syndrome Initial status: A very fearful child with problems of attachment to his mother, limited language and difficulties to socialize with other children of his age. Current status: It is being worked at the level of all its difficulties, little by little he has managed to detach of his mom and now he can carry out the session's work without counting on her presence. Accompaniment is being done to the mother for the enrolment process to the early childhood education school system. Initial status: He was already included in the school system studying the 3rd grade of primary school, but still unable to read. He did not have an adequate articulation. The teacher reported that Kiara was a very insecure girl in school, she could not make friends or participate in group activities. Current status: To be able to carry out a work plan of self-esteem and social skills, constant visits were made to observe the behaviour of Kiara in the school. Now her situation has improved thanks also to the support of the teacher. She has learned to read and write more quickly, of course she still has spelling mistakes. Her pronunciation level has improved but still requires support to improve even more. 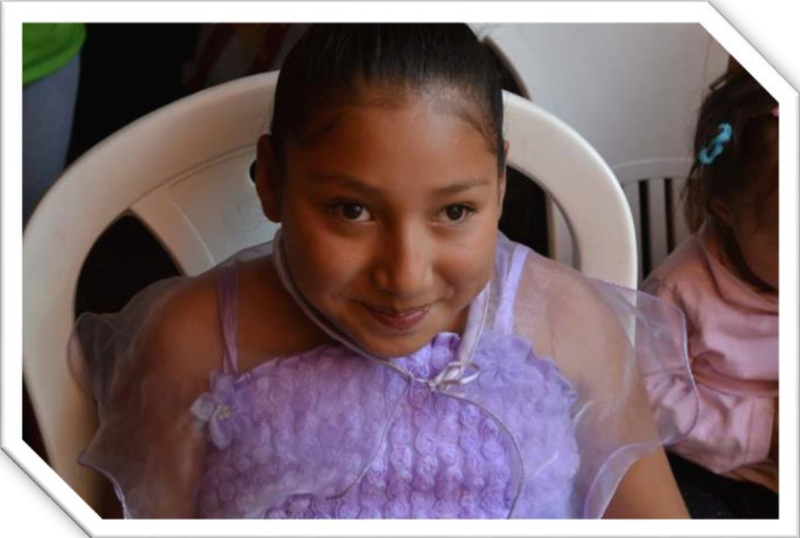 Initial status: At the beginning, Maylí was frighthened, she could not clearly express herself for people to fully understand what she wanted to communicate. She was inserted at the initial level where she still remains. Current Status: Maylí can now perform better, her language has improved but it is necessary to continue working with it. Her advances in early childhood education is being tracked. 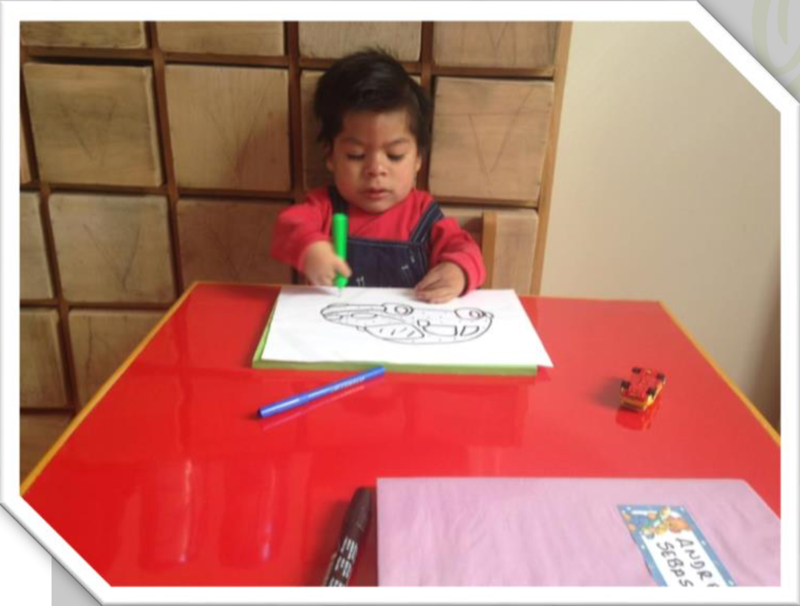 Initial status: Alex was already included in the school system at early childhood education. When the visit was made to the teacher she said that he did not follow basic instructions such as: "give me", "sit down", "take the pencil"; did not control sphincters and did not have an understandable articulated language. Current status: Current Status: Alex continues at early childhood education, visits were made to give work guidelines to the classroom teacher and Alex's attention has been improved through a joint work. Now he can follow basic indications, although his language is still deficient, he can communicate through signs. He can tell when he needs to use the bathroom and no longer uses a diaper.